Welcome to �M & V Export und Logistik GmbH�, has been specialist in the field of international logistics for many years. 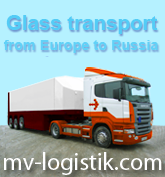 We transport goods from West Europe countries to Russia, Ukraine, Belarus, Kazakhstan, Georgia and countries of Asia. Specialization of company - offering of a wide range of transport services in delivery of goods by truck, air, sea and railway also delivery of oversized goods. One of our priority and successful tasks is shipment of consolidated cargo, hazardous goods and float glass. The target of our job - fully satisfying the client�s demands with good logistics services by minimal time and costs. We will be glad to cooperate with you and to be a reliable and favourable partner for you!